We tend to focus on resolving conflicts and not on what happens much farther upstream. Forget about resolving conflict, what about those of us who have a hard time facing conflict at all, and when we are forced to, feel furious and awful. 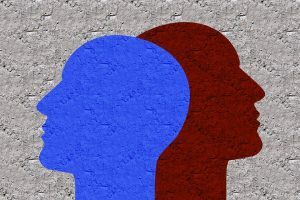 For many of us, due to a complex mix of upbringing, temperament, and experiences, disagreeing with someone feels like we are fighting with them and leaves us feeling defensive and upset. Some of us go to great lengths to avoid such feelings and may either suppress our contrary opinions, pretend to agree, or just change the subject altogether rather than engage in a disagreement. The problem with this approach in the workplace, according to Robert Sutton, PhD Stanford Professor of Management Science, is that “when teams engage in conflict over ideas in an atmosphere of mutual respect, they develop better ideas and perform better”. In other words, avoiding conflict at work is actually doing your team a disservice and potentially hindering its success. When disagreeing with someone becomes incorrectly equated with fighting, and conflict is therefore avoided, your team is not living up to its potential. I would like to highlight the merits of disagreement, which I hope will increase your willingness to engage in occasional opposition with your colleagues, and offer some thoughts on how to do so effectively. Disagreeing is not fighting. While certainly one can lead to the other, these notions should be teased apart if they have grown together in your mind. One indicator that a work team does not provide for a safe exchange of ideas, is when people leave meetings and routinely say to each other in the hall on their way back to their desks “I didn’t want to say anything in the meeting but….” This short phrase conveys a great deal about a lack of trust within a group. While it might occasionally be fitting, (a presentation to an important client for example), if this is said with any regularity it might mean that people are not comfortable expressing themselves. I addressed this head on when leading a cross functional group through a complex product re-pricing initiative several years ago. There simply wasn’t time for side meetings and there certainly wasn’t time for unspoken concerns that might ultimately cause problems, so I inserted as a standing footer on the meeting agendas Ground Rule: No “I didn’t want to say anything in the meeting but….” I pointed it out with humor at our first meeting, and it became something of a running joke, but the message was vital and I believe it helped to make the project a successful one. There is no question that the most effective work teams are those that embrace varying opinions. A healthy team is one that encourages diversity of thought and approach. Allowance to constructively express differing opinions should be a standing ground rule. So how do we do this effectively so that it remains constructive and not distracting or disrespectful? Learning to disagree effectively, like all aspects of communication, is incredibly nuanced and takes ongoing self awareness and practice. No one has perfectly mastered this skill and we all will have days when, for various reasons, our interactions with colleagues are strained and ineffective. Constructive disagreement ultimately makes for a better work place and leads to increased trust and success. If you don’t agree- that’s ok too. I welcome your input and would love to hear from you. Amy Lyman, M.A. is a Consultant at Comprehensive EAP. She has a combination of business and counseling experience and has been interested in the role of mental health in the workplace since the start of her career. She has a Masters degree in Counseling Psychology from Lesley University.